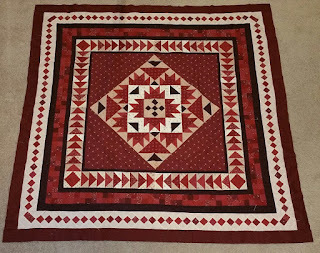 With my UFO for March completed ( you can see it here), I am working on round 10 of Prairie Gathering and my quilt is growing. Only two more after this one and it will be complete! Also in the works is a quilt for a new Grand Nephew, Jackson, who will be arriving sometime in April. 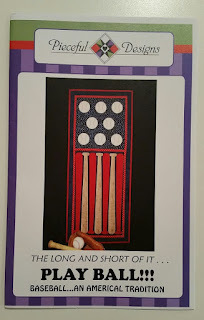 His parents love everything baseball, so it had to be a baseball themed quilt. 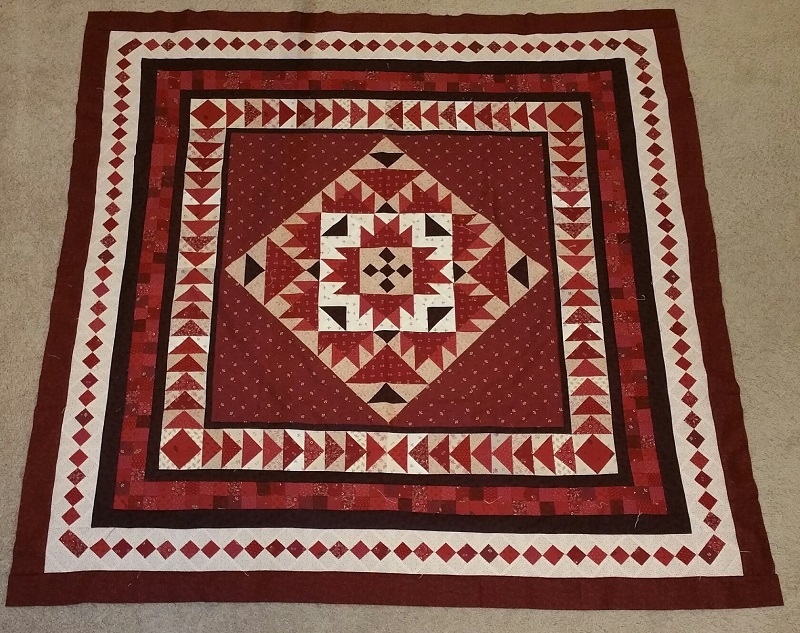 The pattern below I picked up a Road to California Quilt show, and I may add some blocks to make it a bit bigger. It certainly fits the baseball theme! I will be off to Rosie's Calico Cupboard sometime over the weekend to find a few fabrics for this one, after I look through my stash. Have a great rest of the week. See more design walls at Patchwork Times. Looking forward to the baseball quilt. It will be an awesome gift for the little one. You make me jealous on how far along you are with A Prairie Gathering.